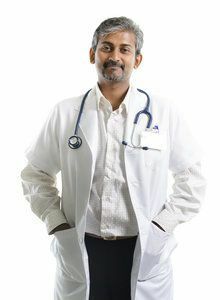 A white coat or laboratory coat, also known as the lab coat, is a knee length overcoat worn by medical professionals and those involved in laboratory work. A lab coat protects the clothing worn underneath and also serves as an easily recognizable uniform. These articles of clothing are made from white or light-colored linen, cotton, or cotton polyester blend. This allows lab coats to be washed at a high temperature and makes it easy tell if they are clean. Due to wearers of these coats being exposed to blood, chemicals, and other liquids regularly, uniform rental has become a popular way to maintain a professional look. Coats similar to the white coats doctors and laboratory employees wear are worn by students in Argentina, Uruguay, Spain, and Bolivia. In these South American countries, they serve as a symbol of learning. In the African countries Tunisia and Mozambique, teachers wear white coats to keep their street clothes free from chalk dust. The history of lab coat wear differs across cultures. White coats are often seen as the recognizable uniform of physicians and surgeons, as people in these professions have been wearing them for over a century. In the early days of medicine, the field was considered to be mostly mysticism and guesswork. As medicine transitioned to a more scientific approach and respected field, physicians wanted to emphasize this change by representing themselves as scientists. Therefore, they began to wear the most well-known symbol of the scientist, the white laboratory coat. The modern white coat was introduced to medicine in the late 19th century as a symbol of cleanliness and white coat ceremonies have become popular amongst students beginning medical school. The difficulties involved with keeping lab coats pristine in challenging environments have made lab coat rental very popular. White Coats utilized in laboratories protect against accidental spills of potentially harmful substances, such as acids. These coats usually have long sleeves and are made of an absorbent material, like cotton, so the wearer is protected from such accidents. Short sleeved lab coats also exist, and are popular amongst those who work in the field of microbiology. The constant wear on lab coats from chemicals makes lab coat rental a viable option. Uniform rental can be an invaluable asset to any business or professional in the medical or scientific fields. Contact Chesapeake Uniform today at (410) 558-3360 to learn more about renting and purchasing lab coats and uniforms.